With just one month of 2014 behind us, it is already shaping up to be an interesting year. The stock market soared at year-end and then tumbled in late January. Bad weather has repeatedly struck several areas of the country, bringing life to a standstill. Student loan debt passed $1 trillion during the summer of 2013 and continues to climb. As of 2012, approximately 43 percent of 25-year-old Americans had student debt, a massive increase from just nine years before, when the share was 25 percent. More than seven million people are in private or federal student loan default, according to the Consumer Financial Protection Bureau. This organization also estimated that approximately one-third of individuals participating in the Federal Direct Loan program have opted for alternative repayment plans in an attempt to reduce their student loan payments. Once a year, the U.S. Department of Education releases the federal student loan default rate, which reflects how many borrowers have not made agreed payments for 270 consecutive days or more during the two and three year periods following their graduations or decision to drop out. For fiscal year 2011, the two-year default rate was 9.1 percent and for fiscal year 2010, the three-year default rate was 14.7 percent. However, this rate does not include private loans, which represent 15 percent of this market, or students who receive loan extensions. Student loan debt is a serious issue and there are few ways to deal with it. 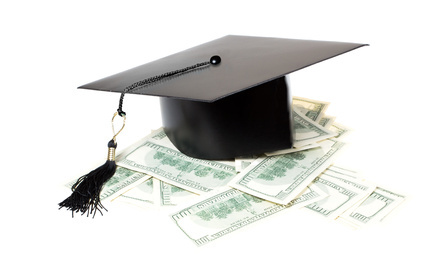 It is extremely difficult to discharge student loans through bankruptcy. Federal Student aid does offer income-driven loan repayment plans but many students are not aware of these. Borrowers can try to negotiate with their lenders but they often do not get far. A consultation with a bankruptcy attorney may reveal additional options that borrowers did not know existed. For example, many borrowers qualify for student loan consolidation, a process that can be used with one or more loans, even if these loans are already in default. Most federal loans including Perkins loans, unsubsidized and subsidized Stafford loans, and Direct loans can be consolidated. Students who are not more than 270 in arrears with payments and meet specified criteria may qualify for deferment of their payments for a predetermined period. Others are able to temporarily reduce or stop making payments through a process called forbearance. If student loan repayment has become unaffordable, explore these and other options presented by a bankruptcy attorney. Get a Free Student Loan Debt Evaluation Now!